Conservationists and local residents have lined up against plans to demolish an historic medical building in Huntley Street which was opened in 1927 by Neville Chamberlain. Camden’s planning officers are, however, recommending approval of the plans and councillors are due to make a decision on the application at tonight’s meeting. The Royal Ear Hospital. 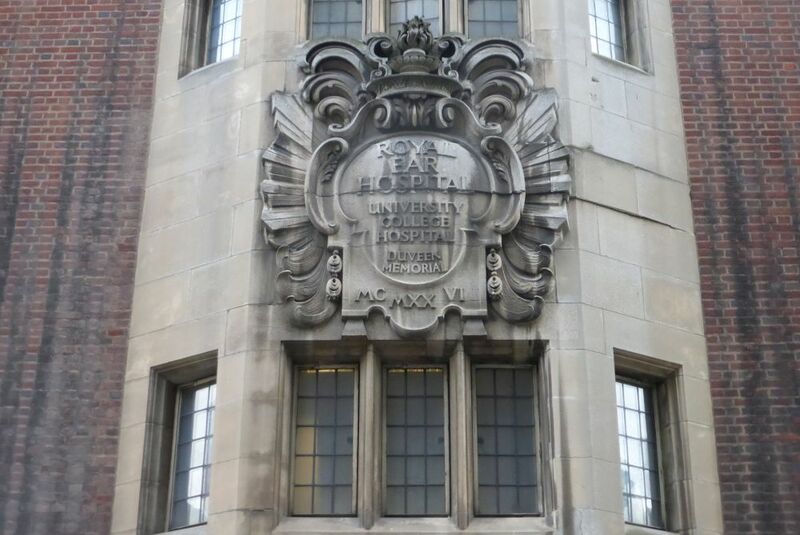 It survived WWII, but UCLH’s bombardment will completely obliterate it. UCLH want to demolish the former UCL Student Union and Royal Ear Hospital and construct a six-storey building, with three basement levels, to create a new head and neck outpatient hospital. Bloomsbury Conservation Area Advisory Committee (CAAC) and Gordon Mansions Residents Association are both strongly opposing the plans because they say UCLH is trying to maximise floor area on the site by concentrating three hospital sites within one huge building. Hugh Cullum of the Bloomsbury CAAC wrote to Camden saying the conservation body were “appalled to see that the proposal was now to demolish” the Royal Ear Hospital and that they were so disgusted with the plans that they walked out of a pre-planning meeting with UCLH. “We were extremely disappointed to discover that the revised scheme failed to preserve the really very fine existing entry facade to the original hospital. “It has some extremely good carving and brickwork and is really one of the few remaining pieces of building which give a clue to the long and important medical history of the area,” he wrote in a comment to Camden’s planners. He described the new building as “terrible” and “completely unrelated to the conservation area” and only fulfils UCLH’s desire to “maximise the floor plate area and efficiency” without any regard to the nearby listed buildings. Residents of Gordon Mansions submitted 12 pages of comments detailing problems with the development which would mean excavation works right alongside their homes. “We always made it clear during the pre-application meetings that we objected to the height of the proposed building and the assumed consequent loss of daylight and sunlight for the Gordon Mansions flats opposite,” stated a letter submitted by the residents association. Local residents are concerned about overlooking, construction and noise transmission at the party wall, design of the facades, and noise nuisance from servicing, air-conditioning, and movement of patient transport vehicles. The residents say the proposals are two storeys higher than guidelines in the Fitzrovia Area Action plan. They say that Camden’s planning officers are “reinterpreting the guidelines, which goes against the intention of the policy and which would protect residential amenity”. A piece of land in Huntley Street was donated by the barrister and philatelist, Sir Geoffrey Duveen (1883-1975), together with £50,000 to build a hospital dedicated to the memory of his parents. Thus, the Royal Ear Hospital was erected in 1927. The Twentieth Century Society has objected to the plans saying the building which was designed by Wimperis, Simpson and Guthrie, built in 1925-6, and opened in 1927 by Neville Chamberlain, minster for health, is of considerable architectural and historic interest. Development Control Committee, 7pm, Thursday 4 June 2015. 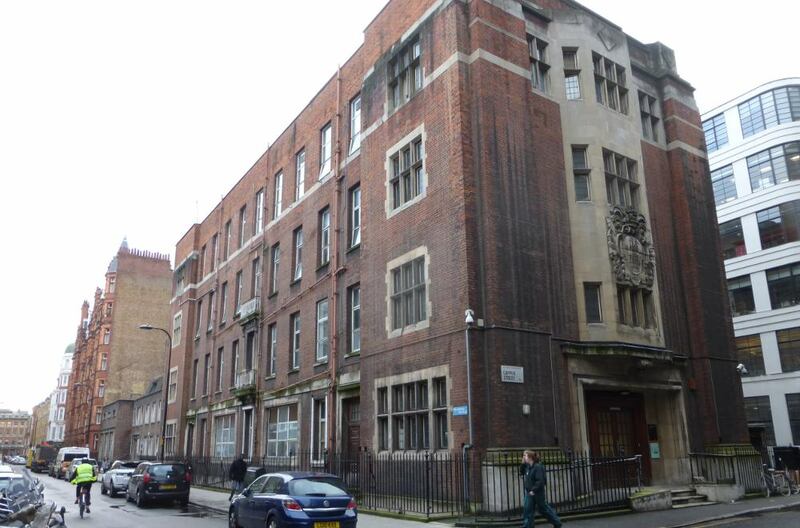 Item 7(2) Former Royal Ear Hospital and Former Student Union Building, Capper Street/Huntley Street, London, WC1E 6AP. Update Friday 5 June: The plans were passed by the planning committee.